Central Semiconductor Corp. has been in the business of manufacturing through-hole discrete semiconductors since 1974. In 1996, Central entered the hybrid market to fill the void left after the departure of several manufacturers from the bare die market. Your vision is our mission. 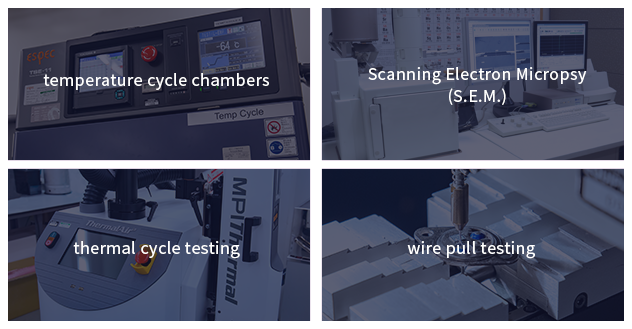 Central excels at listening to customers' challenges and designing custom solutions that other manufacturers have no interest in pursuing. Just Ask. 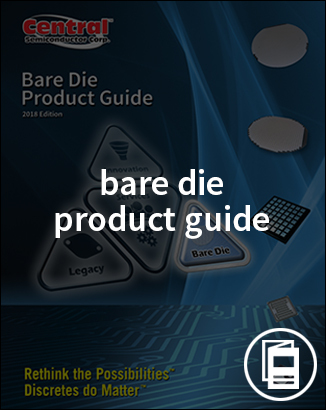 Online guide featuring Central's standard services and custom capabilities, part numbering nomenclature, selection guide of product specifications with interactive links to part details, and standard gross die per wafer. 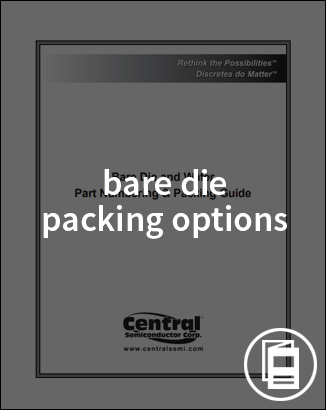 Click here to download specific sections to minimize file size and download times.